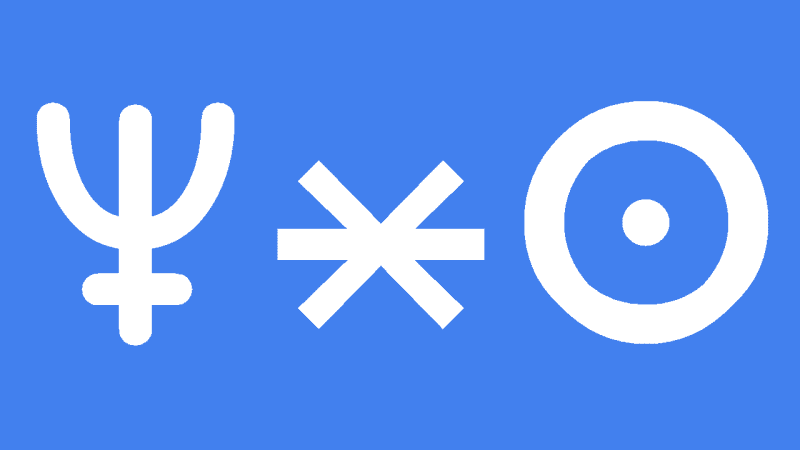 Neptune sextile Sun transit will have a subtle but overall positive effect on your outlook on life. It is likely that you will feel more connected in a spiritual way to your friends and family, viewing yourself more a part of the larger collective than ever before. This is because Neptune will connect your higher senses into the mass consciousness and make you more sensitive to the vibrations of other people and your environment, not just locally, but also globally. When you see or feel the suffering of others you will take it more personally,so this transit can indicate a period in life where you become involved in charity work or other movements to help the underprivileged or victimized. Your increased empathy and concern can have an uplifting effect on others which could materialize as more involvement in groups of all kinds. Any spiritual or occult interests you have can be fully developed during this transit too. You would greatly benefit from the collective nature of this Neptune transit by joining in group activities through organized religion, cults, coven, or astrology groups. However you are just as likely to benefit from a more individual quest for spiritual enlightenment through books, study courses, or consultations with Gurus, Tarot readers, astrologers or psychics. You may even start to live the role or preacher of some other kind of spiritual practitioner. Meditation, or accessing the higher dimensions by ceremonial use of mind altering substances could also help you find your spiritual truths much easier now than at other times in your life. I’m not at all recommending regular drug use but the sextile aspect means that there is a lower risk of negative outcomes like psychosis or addiction, if you do feel confident enough to experiment with entheogens as a part of your shamanic journey. There is also less risk of negative energies being unleashed through any spiritual or occult work now, and you should be less susceptible to the negative energies of other people. Decan 3 Taurus, I will be 36 when this transit starts and it aligns perfectly with my “retirement” plan to start an artist retreat. Its always good to know the stars have my back so to speak. From a collective, mythos perspective, I think people will find the above article quite useful, in light of the astrological posting on this subject recently….. I am a D1-4 54 Cap Sun sextiled by T-Neptune,he also trines my MC/Uranus,conjuncts progressed Sun.After Pluto’s trip over my Sun these aspects are new & welcomed.Maybe as reward for surviving Pluto’s purging,as deepening states of consciousness from Neptune’s abyss is greatly desired & evident as the old Saturnian boundaries of consciousness are being transcended after the 2nd Saturn return.Who better to initially shake that up than T-Uranus conjunct Moon/Aries last year,square MC/Uranus. In the next few weeks The Sun is moving towards direct opposition with Neptune in Pisces. I feel this would boost certain peoples egos somewhat at the expense of other peoples ego, depending on which planet they are more tuned to. This time though, when the opposition occurs on August 24th, by cruel fate The Moon is squared against both. I can’t help but think some of the more idealistic people are going to be paralyzed to the spot with no idea which way to turn under such circumstances. How do you see this alignment affecting people? S.